After paving their way to a championship in the North Kansas City Invitational Tournament on Jan. 23, the RBHS boys’ basketball team continued their spirited season, placing second in the Union Tournament last week at Union High School. The Bruins were able to set the tone in the opening game of the tournament against the Union Wildcats on Jan. 26, attaining a rather facile 53-36 blowout victory to win their fifth consecutive game in the season. Junior forward Eysan Wiley and senior guard Trey Smith provided RBHS with fruitful double-figure scoring with 14 and 10, respectively. “The first game was a real team effort,” senior Carson England said. “Everybody contributed and we played really well together. We were able to dominate them on both ends of the floor. 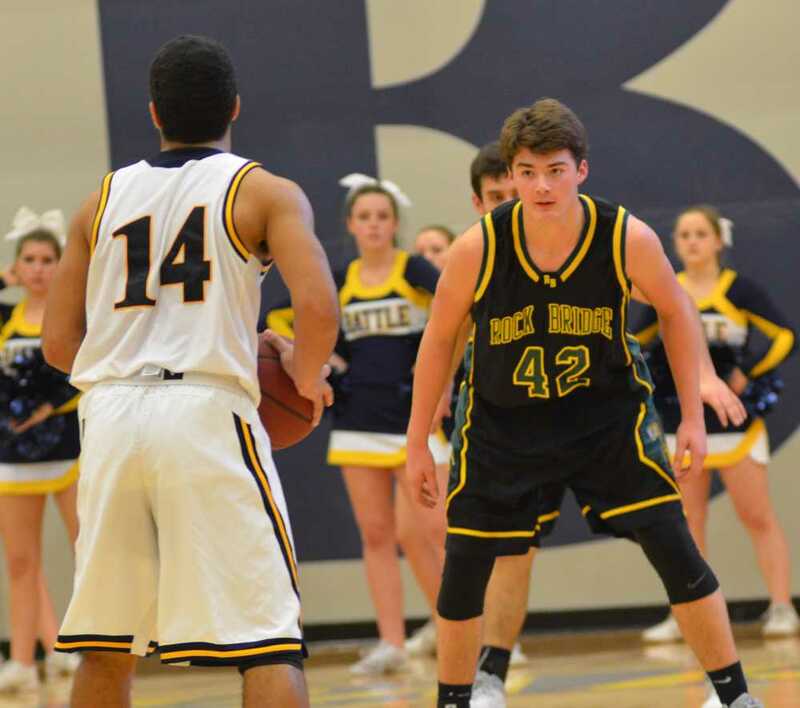 Continuing their energetic win streak, RBHS faced the Hillsboro Hawks on Jan. 29. At a first glance, Hillsboro would appear to be an exceptionally resilient match-up for the Bruins, boasting a praiseworthy 15-4 record and an above-average roster. However, the Bruins were able to gain a powerful advantage on the Hawks early in the game, which allowed them to possess a comfortable lead throughout the entirety of the game. Wiley, once again, provided double-digit scoring. Eventually, RBHS completely eclipsed the Hawks in a 70-41 blowout win, allowing their win streak to increase to six. Despite their success against Union and Hillsboro earlier in the tournament, the tables turned for RBHS in the championship game against the St. Francis Borgia Knights. Despite leading the game in the first half, the Knights were able to take advantage of a somewhat fatigued RBHS roster in the third and fourth quarters of the game, emerging as the ultimate victors and defeating RBHS 66-54. “We played really well in the first half and took a lead into the locker room,” England said. “But in the second half Borgia made some good adjustments and really outplayed us. Their best player started knocking down big shots to bring them back. While RBHS placed as the runner-ups in the tournament, Widhalm believes that the entire tournament was a well-fought battle. He believes the team as a whole performed to a great extent, and hopes the team learns from their mistakes before they head to Jefferson City to face off against the Jays on Feb. 2.